Will a Waldorf Education Prepare my Child for High School? On January 25, 2017, three members of the of Sturgis Charter High School faculty joined the Waldorf School of Cape Cod Board of Trustees for a discussion about high school preparation. Sturgis is the #1 ranked high school in Massachusetts. We asked them how our students handle the transition to high school and their skill levels in specific areas of study. “Will my child be prepared for high school after they graduate from a Waldorf School?” This is a question often asked by parents of prospective Waldorf students. We asked Maxanne Most, Chemistry teacher at Sturgis West, Aaron Dunigan-AtLee, Math & Computer Science teacher at Sturgis East, and Kate Dunigan-AtLee, former Sturgis Librarian, how our students handle the transition from Waldorf School of Cape Cod to Sturgis Charter School in the 9th grade. Sturgis faculty members agreed that every child has a different period of adjustment no matter what elementary and middle school they attended. Some parents worry about not getting enough science or math to prepare for high school in a Waldorf School. The teachers find that many students from other schools are really only trained to repeat back memorized facts. Students from public schools may have been exposed to a higher volume of content but many do not have the skills to be present and ready to learn. Mr. Dunigan-AtLee noted that these basic learning skills are much harder to teach at the high school level. Students from Waldorf School of Cape Cod approach learning with an eye for problem solving and reasoning and are capable of sitting down in the classroom and engaging which is something that shouldn’t be taken for granted because high school teachers don’t see this in all students. High school students are exposed to technology, which may be the first time for some Waldorf students. The Sturgis faculty explained that there is a lot of variety in the mastery of technology and not every student comes in with technology skills. Kate Dunigan-AtLee said that 90% of Sturgis freshmen use index fingers to type. The teachers shared that there is a wide variation of knowledge in the sciences among entering Sturgis Freshmen. 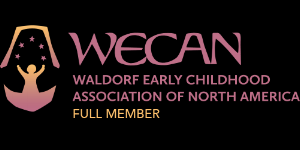 Science is an area in which Waldorf takes a different hands-on approach to learning. This teaching methodology is sometimes questioned but Sturgis faculty members haven't seen any disadvantages from Waldorf students learning science in this way. What is most important is that our students show up with the willingness to learn and sense of inquisitiveness. The Sturgis teachers recognize there is rich educational experience happening at the Waldorf School of Cape Cod. It’s not so important that students know memorized facts. The most important things for success include a sense of inquisitiveness, a desire to ask questions, and a genuine interest in pursuing the answers to their own questions. Waldorf is very strong in cultivating these qualities. At Waldorf School of Cape Cod, children learn a sustained focus - 1st graders knit scarves for 9, 10, 12 months. It doesn’t matter how long it takes but they keep coming back to it. The overall diversity of experiences Waldorf students are exposed to gives students the ideas, activities, background, and knowledge to draw upon in their future education. In high school it’s too late to learn these things.